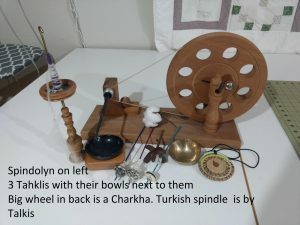 Karen will teach how to spin cotton on several types of spindles and demonstrate spinning cotton on a spinning wheel. 2) How to spin from the cotton seed and a puni. All materials will be supplied including seeds to grow your own cotton, and tools will be available for use in class. Click here for time, location, and contact information.